Campbell Mithun hired veteran communicator Kristine Olson for its newly created position of director of corporate communications, affirming a commitment to make Everything Talk for its own brand. Shandwick, Carmichael Lynch Spong and her own firm, serving brands and companies including: General Mills, Qwest, Volvo, CNS, Bristol Myers-Squibb and Land O’Lakes. When No Name Premium Meats & Seafood challenged Tunheim Partners to “Bring Home the Bacon,” little did they know it would come in the form of a 300-pound likeness of Conan O’Brien, carved out of white chocolate (to reflect his pasty, white complexion) complete with No Name bacon for his red, wavy hair. Yet that’s exactly what won the small Minnesota meat company national visibility on The Tonight Show with Conan O’Brien and won Tunheim Partners a 2010 PRSA Classics Award for Creative Tactics. Tunheim Partners received the award at the 32nd annual Minnesota PRSA Classics Awards ceremony at International Market Square on Thursday, March 25. In preparation for a possible mention, Tunheim Partners prepared a comprehensive social media strategy by creating accounts for the ‘bacon bust” on Facebook, YouTube and Twitter and Flickr. The team also produced a cartoon-like video for YouTube, showing the bust “traveling” from Minnesota to Hollywood to mimic Conan’s first show in which he “ran” from New York to Los Angeles . The bust “took photos” of itself at well-known tourist destinations like Old Faithful, Las Vegas , etc. that were posted on Flickr. The effort paid off. Conan O’Brien mentioned No Name Premium Meats & Seafood once and showed the chocolate-carved bust on The Tonight Show twice: on August 26 and 31 for a total of 7.5 minutes with nightly audiences of 2.5 million viewers per night. By leveraging social media networks as well as traditional media relations, No Name achieved a media slam dunk and saw bacon sales increase by 27 percent nationally. No Name is a division of J&B Group - a family-owned company based in St. Michael , Minnesota . The company is a leader in perishable food manufacturing and distribution, serving the retail and food service industry throughout the Midwest and beyond. No Name and Tunheim Partners have established strong working relationships with media contacts throughout the Midwest region focusing on food and entertainment, business and trade media. The PRSA Classics Awards are divided into two categories: Elements and Programs. Classics Elements Awards honor the best program tactics, while Classics Programs Awards honor the best overall public relations campaigns. Forget everything you know about naming for B2B—the rules are changing. Five converging trends are having a profound effect on how well brand names perform. Will your brand have the power to compete in the coming years? How will you know if it's time to rebrand? If you're introducing a new brand, what should you know about naming? John Stucker, founder of Pollywog, will share how Medtronic and other B2B leaders have created names that succeed in the digital age and how a powerful name can propel the success of your business. A members-only networking event will be held immediately following the event (9-9:30 a.m.) to discuss presentation highlights. identity to packaging, print ads to Web sites. John has worked as a consultant, art director and designer for a wide range of agencies including Campbell Mithun, Rapp Collins Worldwide and BBDO. His work has won awards from such institutions as the American Institute of Graphic Arts, How magazine and Print magazine, and his brand identity work has been published in Print’s Best Logos. Prior to founding Pollywog, Devon had been an independent consultant and copywriter/associate creative director with some of the world’s leading advertising agencies, including J. Walter Thompson in Los Angeles, and Young & Rubicam, Bozell and Campbell Mithun in Chicago. Over the 20-year course of her career, Devon has worked on many leading brands, including the Walt Disney Company, Paramount Home Video, Coffee-mate, 3M, Southwestern Bell, @Home, Berlitz, Best Buy, Harmon AutoGlass and Mexicana Airlines. Her creative awards include The Show, The One Show, the Art Director’s Club, the Gold Addy, Print’s Regional Design Annual, the International Advertising Festival of New York, and others. Devon holds a Masters of Advertising from the Medill School of Journalism, Northwestern University. Last night, the Minnesota chapter of the Public Relations Society of America (PRSA) celebrated the best public relations campaigns of 2009 during the 32nd annual Minnesota PRSA Classics Awards, held at International Market Square. The awards banquet, emceed by KARE-11 weekend anchor reporter Rena Sarigianopoulos, was attended by more than 250 communications professionals from area agencies, corporations, non-profit organizations and independent practitioners. A vital need for more support had the National Marrow Donor Program taking a new approach to engaging the public in its life-saving mission, which included a new name for its marrow donor registry – Be The Match. The NMDP turned to Padilla Speer Beardsley to launch Be The Match and encourage more people to join the cause. Despite a very limited budget and the reluctance of media to cover “just a name change,” Padilla created a highly successful campaign that captured public attention by showcasing compelling stories of patients and donors, attracting thousands of marrow donors, volunteers and financial contributors. Also at the Classics, Minnesota PRSA honored Ted Davis, APR, with the Donald G. Padilla Distinguished Practitioner Award. The late Mr. Padilla devoted himself to helping civic, educational, human services and arts organizations communicate more effectively. He was equally diligent in teaching the clients of his firm to see the many benefits of community stewardship and relationship building. The Donald G. Padilla Distinguished Practitioner Award recognizes an individual who is judged to have made selfless contributions to the community and to the mission of PRSA, and who has demonstrated exceptional professional achievement. Davis has worked in public relations in Minneapolis/Saint Paul for 25 years. He founded Davis Communications Management in 1998 to provide strategic public affairs council to companies, organizations and individuals across Minnesota. His practice focuses on navigating complex public issues through media and community relations, crisis communications and mobilizing grassroots advocacy. Throughout his career, he has maintained a strong commitment to the community. He has served as a crisis media relations volunteer for the American Red Cross and as a public relations advisor to numerous public officials and community organizations. As a frequent guest lecturer and adjunct instructor at the University of Minnesota School of Journalism and Mass Communications, he has helped young PR practitioners prepare for their careers. He has been a member of PRSA since 1986 serving as a director, National Assembly Delegate and committee member including past service as co-chair of the accreditation committee. Along with the award, Minnesota PRSA will contribute $500 to a charity of Davis’ choice. Padilla Speer Beardsley will donate another $500 to the same organization. A total of 54 Classics Awards were presented during the evening to public relations agencies, corporations, non-profit organizations and students from the metro and out-state areas. For a complete list of the 32nd Annual Minnesota PRSA Classics Awards click here. Who Pooped at the Minnesota Zoo? Congratulations! You’ve Landed on Free Parking! OLSON is pleased to announce the hire of Shannon Davis as director of project management. She joins the agency from Met|Hodder, where she was director of project management and production services, working on recap shows and enhanced episodes of ABC’s Lost, and on Disney projects. “I’m excited to be joining OLSON to refine agency processes—to change things organically, incorporating ideas from each agency discipline,” says Shannon Davis, OLSON director of project management. “A great process needs to feel effortless, and I’m hoping it’ll look that way too." Before Met|Hodder, Shannon was manager of the project management department at Best Buy. Morsekode, a Minneapolis-based creative marketing agency, today announced that it won three new client assignments for interactive marketing and video services – adding to an already active 2010 for the independent agency. Children’s Hospitals and Clinics of Minnesota is partnering with Morsekode to create an educational video for K-4th grade students on influenza prevention. Children’s will offer the video to Minnesota school districts this fall. Morsekode and Toro are teaming up for a global product launch with a microsite featuring video and animation. The agency also will conduct an online teaser campaign for the launch from Toro’s Domestic and International Sports & Grounds groups. “Morsekode has been a great partner from the development of this new product messaging to campaign content ideas that will connect with the audience,” said Jamie Bergen, Toro’s international marketing product manager. Medtronic turned to Morsekode to create a microsite and video to support product launches with its CardioVascular division. Often referred to as the Brett Favre of dodgeball (ask him to find out why), Eddie Prentiss, straight from a grueling season with the National Dodgeball League team the Las Vegas Vipers, has joined OLSON as creative director. “Back alley dodgeball has long been a signature part of OLSON's culture, so Eddie is certain to fit right in,” says Tom Fugleberg, executive creative director, OLSON. “I just hope he’s ready for the jump from the professional ranks to playing in a pool or two of Dumpster juice.” Prentiss will be joining OLSON as a creative director, and brings more than just sheer pedigree to the post—he’s also a tremendous mentor." “I’ve always played to win and had fun along the way,” says Prentiss. “That’s what excites me about OLSON. Advertising is really no different than dodgeball, except I probably won’t break any fingers.” One hopes. Client Disclosure on Twitter – When do you do it? How do you do it? My colleague, Jennifer Kane, and I talk a lot about how to achieve "calculated authenticity" and transparency in our firm's social media engagement. However, we've also noticed that there's a fine line between being calculated, and being misleading (whether intentional or unintentional). In my years of using Twitter as a public relations tool, and observing the practices of others in the trade and how these practices have evolved, I've developed an acute awareness of (and questions around) how PR professionals talk about their clients on Twitter. Tweets about their job and the trade, and projects on which they are working, but don't mention client names. Tweets that mention clients, but not in a promotional way: "I am working on a campaign for client name." Tweets that mention clients in a promotional nature, but unless the reader is familiar with that individual's client roster, they wouldn't know that it's a client of theirs: "I am reading a fantastic article by client name." or "I think this gadget from client name is awesome!" Tweets that mention clients, along with some sort of disclosure that it is a client: "Client name is having great event this weekend. (client)"
One local firm that emerged early with this practice of Twitter disclosure was Tunheim Partners (BloisOlson and DErickson). When I saw the graceful way that they navigated this issue, I immediately thought, "Duh ... why aren't more PR professionals (including me) doing this?" If a PR professional (or agency) is receiving a retainer from a client, and she tweets promotional information or pitches pertaining to that client, is she then, essentially, being paid to tweet? If a PR professional tweets promotional information or pitches pertaining to a client, is he using his influence as an endorsement for the client? Well, at the core of all of this, we're talking about industry ethics and best practices. 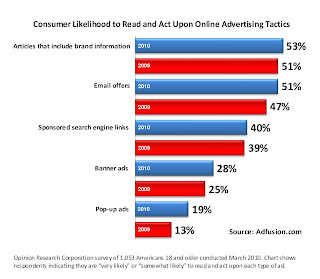 And, as you're probably aware, the FTC recently revised its guidelines for disclosure of connections between advertisers and endorsers, including those on personal blogs and social networking sites. What do the FTC guidelines mean for PR professionals? They are merely guidelines, and no legal action will be brought against those who do not comply. However, I go back to the question that I raised previously -- if a client is paying us, and we promote that client via social networks, are we then being paid for that endorsement? In a webinar last month with Brian Solis, principal, Future Works, Ted Murphy, principal, IZEA and Mary Engle, associate director, Bureau of Consumer Protection, Federal Trade Commission, it was stated that the FTC would like to see PR firms with policies in place that tell people when and how to disclose. Develop disclosure language, and use it. Whether it's "(client)" or "(c)" or "#client" or "#paid" -- select language that makes it clear to your audience when you're talking about a client or have received some sort of compensation for sharing that message. Use your bio and Twitter wallpaper. If you're going to tweet about clients on occasion, use this space to tell your followers who your clients are and share any policies or guidelines to which you adhere. Create Twitter lists. Include your firm's clients and those who tweet about your clients. Consider taking this a step further and aggregate these tweets on your firm's website. Consider an agency Twitterfeed. If you want to tweet client news and pitches, an agency Twitterfeed of press releases and client news may serve this purpose well. Develop a policy. Once you establish whether or not you or your firm will talk about clients in social networks, decide what the nature of those posts will be, and how you plan to disclose client relationships. Make sure that employees and sub-contractors understand this policy. Bottom line -- there's no steadfast rule to when or how PR professionals disclose client connections in social media. It's a choice, up to you, as to how you will proceed in this very gray area. What steps are you going to take? Risdall Marketing Group (RMG) announced that Karen Van Heiden has joined its Online Marketing Group division. Van Heiden’s responsibilities include evaluating client Web sites to increase Search Engine Optimization. Van Heiden graduated from Drake University as a marketing major, but started her college career as an actuarial science major. Previously, Karen served as executive director for Iowa’s Windsor Heights Chamber of Commerce. Forget everything you know about naming for B2B - the rules are changing. Five converging trends are having a profound effect on how well brand names perform. Will your brand have the power to compete in the coming years? How will you know if it's time to rebrand? If you're introducing a new brand, what should you know about naming? John Stucker, founder of Pollywog, will share how Medtronic and other B2B leaders have created names that succeed in the digital age and how a powerful name can propel the success of your business. Register Now. *A members-only networking event will be held immediately following the event (9-9:30 a.m.) to discuss presentation highlights. We look forward to seeing you at our April event! The Minneapolis office of d.trio marketing group today announced Philip Wocken has joined the agency as the director of emerging media. In this key role, Philip is responsible for developing and expanding services for existing and future clients in the social media, mobile and email marketing capacities as well as online advertising, web analytics and search engine optimization services. Prior to joining d.trio, Philip ran his own interactive marketing agency, which specialized in creating affordable and inventive campaigns for a portfolio of small business and start-up clients based in the U.S and U.K. He’s also served as marketing manager of Granite City Window Cleaning, Inc. where he managed all marketing communications efforts. Wocken currently volunteers his time as a staff blogger for the Minnesota American Marketing Association Web site. A native of St. Cloud, Minn., Wocken graduated with a bachelor of science degree in marketing from the G.R. Herberger College of Business, St. Cloud State University. Ryan Libby has been promoted to director of OLSON’s studio team, from associate director. Libby manages the studio, an efficient team with advanced technology and design backgrounds focused on supporting all disciplines, and the agency’s internal resource for producing interactive and print-ready materials. Libby joined OLSON in 2006 from RMG Connect, where he was development manager, interactive. Libby began his career at Best Buy Corporation, where he was instrumental in the redesign of the company’s corporate intranet. He has also worked for Target.com, and in Washington D.C. for PR shop The Bivings Group. The 2010 MinnSPRA (Minnesota School Public Relations) Spring Conference will be held Friday, March 19. "Community Conversations: Tame the angry mob and build relationships that last" will give public relations and communication professionals an in-depth look at community engagement using the IAP2 model. Used by school districts, government agencies and non-profit organizations across the world, the IAP2 model centers around seven core values and a spectrum of public participation levels. Whether you’re new to school communications or a seasoned professional—there is a lot for you to learn from leading community engagement practitioners. Why is community engagement more important now than 10 years ago? What is the IAP2 spectrum? How do I use it? How do I begin to engage my community? What are the ﬁrst steps? The risks, beneﬁts and costs of community engagement. The conference includes a keynote presentation and afternoon workshop from Dr. Deb Gurke, Director of Board Governance for the Wisconsin Association of School Boards, and an in-depth look at Saint Paul Public School's current community engagement process. The 2010 MinnSPRA Spring Conference is scheduled for Friday, March 19, at the Northland Inn in Brooklyn Park. The program will start at 8:30 a.m. and conclude at 4 p.m. The 2010 Star Awards program will be held during lunch, beginning at 12 noon. The cost of registration for MinnSPRA members is $130 for MinnSPRA members, and $170 for non-members. Rooms are available at the conference center for $119 per night for those wishing to stay on Thursday night. Register now. Shock Doctor, the Plymouth, MN-based global brand leader in mouthguard technology and performance protection products for athletes, has chosen Minneapolis-based Maccabee Group as its new public relations agency for social media marketing, consumer product publicity and strategic communications. In addition sparkhouse, a Minneapolis-based organization that provides curriculum and design services to the Christian education community, has hired Maccabee Group to perform public relations projects. Melissa Levy has joined Beehive PR as group director. Previously, Levy spent five years with Carmichael Lynch Spong working as a senior counselor and chair of the agency’s retail industry practice. As group director, Levy will lead Beehive’s consumer and retail-focused accounts. She will also serve as an internal and external writing coach. Levy has more than 15 years of experience in the communication field, contributing more than a decade of her career to journalism. For eight years, Levy was a retail reporter for the Star Tribune, where she launched a weekly, “What’s in Store” trends column. She has won Minnesota Society of Professional Journalists’ “PageOne” awards for coverage of Marshall Field’s sale to Macy’s and a series on the business issues related to obesity. In 2005, Levy joined Carmichael Lynch Spong where she lead the Sherwin-Williams paint stores public relations team. She has extensive experience in consumer brand public relations, working with clients such as MasterBrand Cabinets (Aristokraft, Diamond and Thomasville brands), Maytag appliances and stores, PETCO Animal Supplies and Lifetouch photography studios. Her teams have won two national Gold SABRE awards, a Bronze Anvil Award of Commendation and several Minnesota Public Relations Society of America honors. Levy completed her bachelor of arts degree in international relations with an emphasis on journalism from Michigan State University. There will be a PRSA APR Spring Refresher course on Saturday, March 27 from 9 a.m. to noon at Padilla Speer Beardsley. This session is designed for APR candidates who have already completed the full APR Study Workshop (held each fall). The Spring Refresher will be an opportunity to review the major areas of the exam, and to ask panelists questions about portfolio preparation and the Readiness Review. Please RSVP to Betsy Anderson (bdanderson1@stthomas.edu) or Patty Hoffman (PHoffman@psbpr.com) by March 19 if you are interested in attending. Schermer Kuehl was named Runner-Up, Small Agency of the Year by BtoB Magazine! BtoB Magazine, the leading publication for B2B marketing professionals, today published its list of Top B2B Agencies. Minnesota Agency Schermer Kuehl made this list for the past two years, and this year they were a finalist for 2010 Small BtoB Agency of the Year and finished in the #2 spot. Here is a link to BtoB's profile on Schermer Kuehl, Runner Up for Small BtoB Agency of the Year! Paul Kelash, a vice president in Weber Shandwick’s Minneapolis office, has been named chair of the board of directors for People Serving People Charities, the largest and most comprehensive family-focused homeless shelter in Minnesota. Kelash has served on the non-profit organization’s board for five years. He brings to the role 20 years of communications, marketing, journalism and public relations experience. At Weber Shandwick, he oversees account work for asset management, banking, insurance and capital markets clients. Prior to joining Weber Shandwick, Kelash held a senior communications post at Thrivent Financial for Lutherans, a Fortune 500 organization. Before joining Thrivent, Paul worked as a consultant to American Express Retirement Services, Fiserv and U.S. Bancorp. Prior to that, he was a principal/communications strategist for San Francisco-based Barclays Global Investors (now part of BlackRock). Paul started his career as a reporter for American Banker-Bond Buyer. Minneapolis advertising agency Kruskopf Coontz has been named a strategic marketing partner by Transamerica Retirement Management, Inc., one of the country’s leaders in financial and transition planning for retirement, located in St. Paul, Minnesota. KC won the assignment after a nationwide search that ended in a three-agency pitch. Effective immediately, Kruskopf Coontz will work with Transamerica Retirement Management to begin the work of building the brand and message platform for a soon-to-be-launched retirement and transition initiative. The program will also involve concepting and creation of comprehensive materials for financial advisors to help consumers through the retirement transition process as well as development of new business-to-business sales support materials and a lead generation program. The first creative product for Transamerica Retirement Management is expected by Spring 2010. Attend this workshop to hear about the latest research on motivations and values that will be driving consumer behavior in 2010. Then, learn how to channel innovation and creativity within your team to develop marketing initiatives that will resonate with your target audience and drive bottom-line results. This Women@Work Workshop will also include 30 minutes of valuable networking time in between speakers so you can meet fellow colleagues in the marketing and communications field. Hillary Plank is a consumer trend expert on younger and older Boomers, moms, sustainable/green energy and technology, sustainable consumers and Asian American consumers, across all categories. A former PR pro with front-line experience at scrappy startups and national firms, Hillary helps brands zero in on what matters to consumers (quality! performance!) while identifying marketable values inherent to the core value proposition. She holds an MA in Strategic Communication from the University of Minnesota and a BA in English, Art History and Asian Studies from St. Olaf College. Glenn Karwoski is the founder of The Business of Ideas and managing director of Karwoski & Courage. Glenn teaches creativity and innovation at the University of St. Thomas Graduate School of Business in Minneapolis. In addition to working with clients, Glenn presents his ideas about creativity and innovation to a wide variety of organizations and educators. The Business of Ideas is based in Minneapolis, MN and is part of the Omnicom global network of communications agencies. Free parking permits will be sent via email to all attendees who pre-register before 5 PM on March 7. Permits will NOT be provided onsite, so you must pre-register to receive a parking permit. Permits are valid in the O’Shaughnessy/Event Parking lot, which can be accessed from Gate 4, and the Visitor Parking lot, which can be accessed from Gate 3. Ad2 Happy Hour with Colle+McVoy & Hopenhagen – Let’s Share! Colle+McVoy is one of three primary agencies (including Ogilvy and Ketchum) tapped by the International Advertising Association on behalf of the United Nations to develop Hopenhagen, an international grassroots movement in support of a new global climate agreement at last December’s United Nations Climate Change conference in Copenhagen. Colle+McVoy will present the good and the bad – along with some wishful thinking in hindsight – about leading the dynamic social media efforts of the extensive Hopenhagen campaign that engaged and enabled citizens around the world. Join us to network with Colle+McVoy and learn more about their agency and what they have been up to. Did we mention free food and adult beverages? See you there! Register online or contact the Ad Fed office at (651) 917-6251. Cancellation/Refund/No-Show Policy: Cancellations received by the Ad Fed office at least 48 hours prior to the event are eligible for a refund of the registration fee. No refunds will be provided for cancellations received fewer than 48 hours prior to the event. No-shows will be billed for any unpaid registration fees. Fast Horse, a Twin Cities-based consumer marketing agency, has experienced significant growth on multiple fronts, including a 40 percent revenue spike in 2009, several new hires and a key promotion. Coca-Cola account and add to the Fast Horse sports marketing and sponsorship activation practice. Meanwhile, Fast Horse continues to take its branding, interactive design and creative services to a new level. Sandra Huynh, who holds a B.F.A. in design from the Minneapolis College of Art and Design, and Hillary Heinz, who holds a degree in graphic design and a minor in information technology from University of Minnesota ’s College of Design , have both been added as associates. Lindsey Boeser also has been hired as office assistant, where the graduate of St. Olaf College performs a number of key functions for the agency, including accounting and human resources support. “Our business is built on talent, so it’s exciting to infuse such as diverse mix of skills and creativity to our team,” said Jörg Pierach, president and creative director at Fast Horse. In addition, the agency promoted Allison Checco to senior director, where she will continue to develop and execute brand-building campaigns, product launches, special events, social media outreach and media relations programs for clients such as Blue Cross Blue Shield of Minnesota, Creative Memories and Insight Schools. 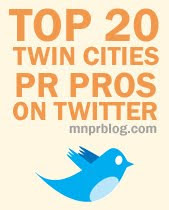 As Minnesota's premiere resource for the latest news, jobs and events in Minnesota Public Relations, I have been asked many times why I don't create a list of PR agencies in the Twin Cities. The quick answer is that I have never taken the time to do it. Today that changes. Below is a complete alphabetical listing of all Metro-area PR agencies. If I am missed something please let me know. Over the next year I hope to highlight one or two agencies every month. If you are interested in your agency being represented here please send me a note.